The last decade’s most remarkable business story has been the rise of Google as a dominant force in computing. Whenever a company becomes wildly successful in a brief span of time, it naturally becomes an object of fascination for corporate executives and even the general public. Innovation, Not Instant Perfection. 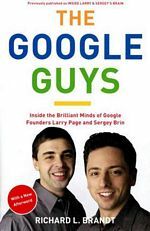 “The Googly thing is to launch it early on Google Labs and then iterate, learning what the market wants—and making it great. … The beauty of experimenting in this way is that you never get too far from what the market wants. The market pulls you back. Ideas Come from Everywhere. 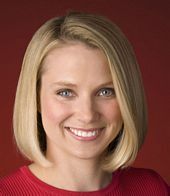 “We have this great internal list where people post new ideas and everyone can go on and see them. A License to Pursue Your Dreams. “We let engineers spend 20% of their time working on whatever they want, and we trust that they’ll build interesting things. Morph Projects Don’t Kill Them. “Any project that is good enough to make it to Labs probably has a kernel of something interesting in there somewhere, even if the market doesn’t respond to it. It’s our job to take the product and morph it into something that the market needs. Share as Much Information as You Can. “People are blown away by the information you can get on MOMA, our intranet. Because there is so much information shared across the company, employees have insight into what’s happening with the business and what’s important. … It allows us to share what we know across the whole company, and it reduces duplication. Users, Users, Users. “In a truly virtual business, if you’re successful, you’ll be working at something that’s so necessary people will pay for it in subscription form. Or you’ll have so many users that advertisers will pay to sponsor the site. Data is Apolitical. “Run a test on 1% of the audience and whichever design does best against the user-happiness metrics over a two-week period is the one we launch. … We probably have somewhere between 50 and 100 experiments running on live traffic, everything from the default number of results to underlined links to how big an arrow should be. We’re trying all those different things. You’re Brilliant? We’re Hiring. “There is this amazing element to the culture of wanting to work on big problems that matter, wanting to do great things for the world, believing that we can build a successful business without compromising our standards and values. Worry about usage and users, not money. : Provide something simple to use and easy to love. The money will follow.